In the past two issues of Happy Talk we took our readers through a leisurely tour of the history of this unique organization. It was as much a learning exercise for us as it was, perhaps, for you. Part of what we discovered is that the nature of who we are and what we do has evolved over the decades. Or to put it another way: One thing that hasn't changes is that we're always changing. With that in mind, and after a great deal of thought, we are changing the name of one our our most visible divisions. Effective this fall, the R&H Theatre Library is becoming R&H Theatricals. The dictionary definition of ""theatrical"" - ""of or relating to theater, the performance of dramatic works"" - fits us nicely. 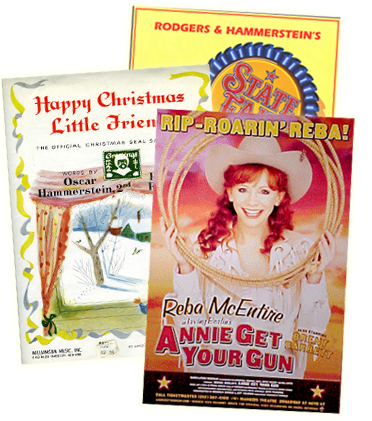 R&H THeatricals encompasses where we came from ad what we do now, all the while acknowledging the extraordinary- and ever-growing- collection of musicals in our catalogue. 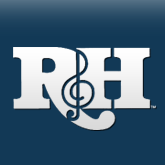 To introduce R&H THeatricals we've got a new logo and a new web site (www.rnhtheatricals.com)although our name has changed, our goals remain the same: to serve our customers, and to celebrate our great ""theatricals"".